Rev. 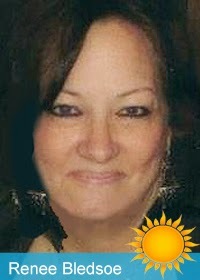 Renee Bledsoe will guide you through your very own intuitively given healing meditation during this session. Rev. 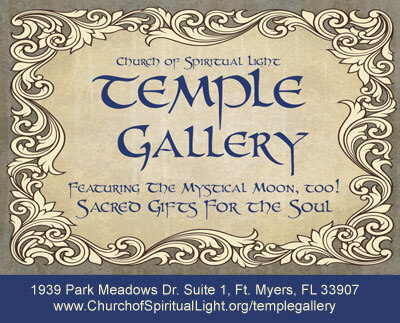 Renee is lead minister and founder of Church of Spiritual Light, an All Faith Spiritual Community in Ft. Myers, FL since 2008. 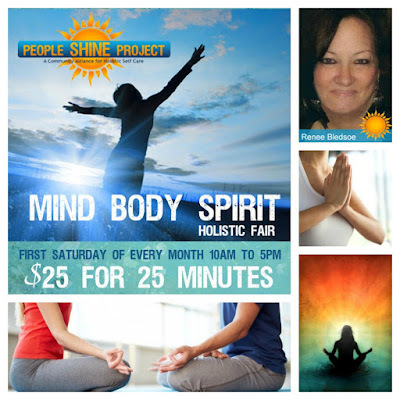 She is an intuitive soul coach and mystery teacher, bringing education and programs which support and advocate for integrative energy medicine and a more holistic approach to health and well-being on all levels. Helping people to find and activate their medicine and personal power is her medicine.She is a guide, teacher and compassionate healer that assists others throughout their spiritual and soul’s emergence. 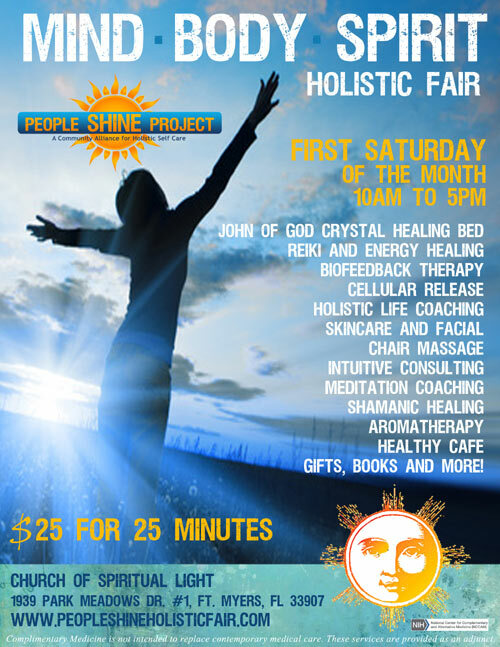 She is the founder of two programs: Addiction Alchemy™, a self-help addiction and life recovery system based on the Recovery Medicine Wheel, and the People Shine Project - A Community Alliance for Holistic Self Care. At the fair Rev. Renee will be offering one-one-one Guided Healing Meditation sessions at the fair rate of $25 for 25 Minutes, providing instruction, tips and energetic coherence to help you allow the process of meditation to become as natural to you as breathing!